The “Trojans 14U” Connie Mack baseball team recorded their first wins of the Summer season (2-6) as they routed the Chargers Black team in a doubleheader on Tuesday night at home, 20-6 in the first game and then they beat them in a close game in the nightcap 9-7. 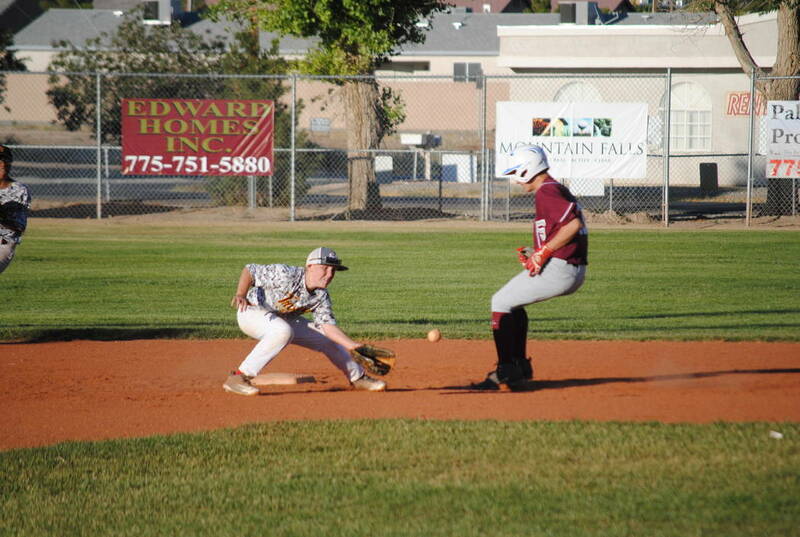 Charlotte Uyeno/Pahrump Valley Times Ryan Braithwaite gets the out at second base on May 20 at Ian Deutch Park in the 14U Connie Mack season opener. Charlotte Uyeno/Pahrump Valley Times Outfielder Brysten Marquez keeps an eye on the ball on May 20. The Trojans 14U team is off to a slow start, winning their first game against the Chargers Black team on June 13. “The bats exploded for 20 runs on 17 hits and 11 walks the first game,” Trojans 14U coach Drew Middleton said. “Coming into the game we had 11 hits as a team through six games and our bats broke through. Middleton said the new addition of Jalen Denton helped enormously in the middle of the order. “He went a combined 6-8 in the two games and had three doubles, a triple and seven RBIs,” Middleton said. Trojans coach Eddie Martinez’s 16U team is doing well and is in first place at 5-2. Martinez said the first two losses were because the team was getting organized. Since then they have not lost a game. 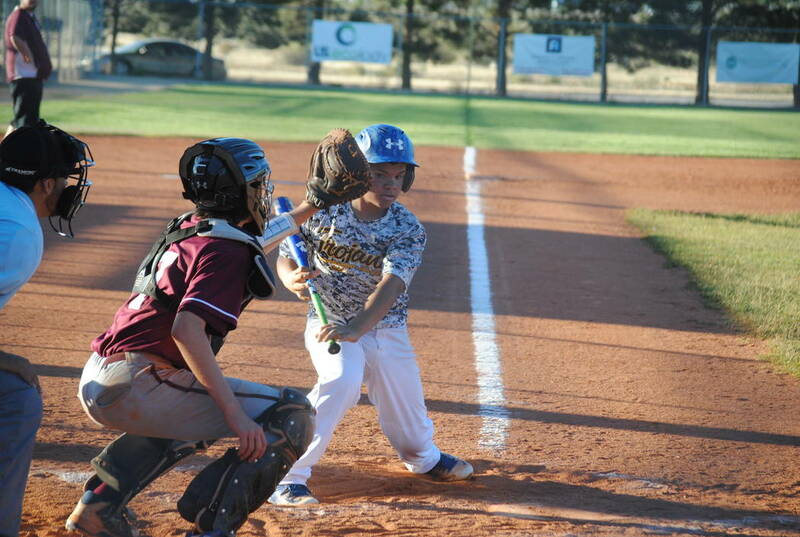 Connie Mack baseball is a youth baseball league that prepares baseball players to play at the high school level. The Trojans high school team plays in a 16 and under league and there is also a 14-and-under team that has middle school players on it. The next 14U game the Trojans will host are the Faith Lutheran Crusaders at 5 p.m. on Saturday, June 17. The next home game for the Trojans 16U team is at 6 p.m., on Monday, June 19, at Ian Deutch as the team hosts Slam Academy.